As part of a Campus Development Plan, Dublin City University is progressing plans to construct two new facilities on Campus (Stokes Building Extension and Student Hub Redevelopment). This procurement process is for the construction of the new Stokes Building Extension. The project has an indicative value of approx. €7.5m. The project has planning permission as per Dublin City Council planning reference 3207/14. 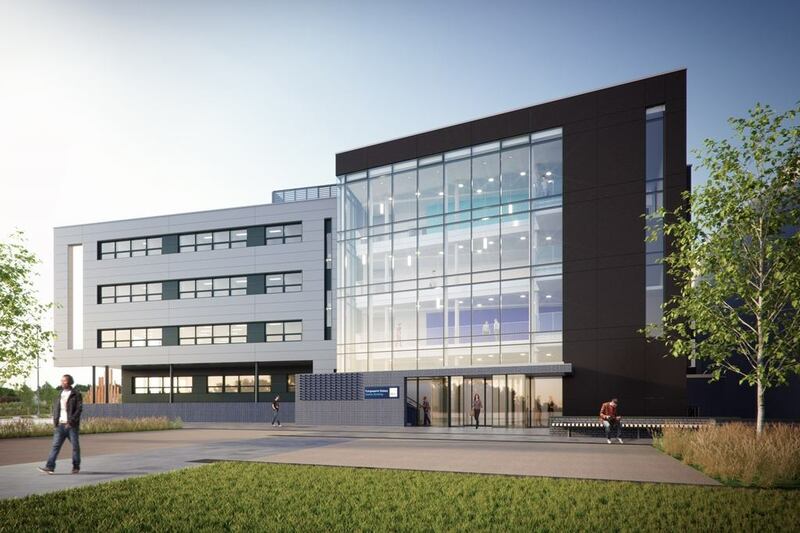 The Works are to include a new four storey extension (3180sqm approx) to the existing Science Research and Engineering Building, The Stokes Building, from ground floor over a previously constructed, currently occupied, podium to accommodate a variety of teaching facilities: 2no. 250 (approx.) seat tiered lecture theatres; 4no. 100 (approx.) seat and 2no. 80 seat (approx.) teaching spaces, some interconnected; cellular and open plan office space; a new entrance; ancillary and roof plant space (196sqm approx.). To facilitate construction, relocation of an existing gas bottle storage area (at basement level) and reconfiguration of gas supply (including mains gas) into the building will be required. Additionally, the works include a number of service diversions and works to roads and footpaths around the new facilities to accommodate new laydown and delivery areas, footpath alignments etc.